Stating that the documents may be relevant, Master Evan Bell said that on the balance of probabilities it was not proven that they were relevant. The documents referred to had been unlawfully obtained, which Master Bell identified as a factor when considering whether to exercise his discretion to make the order sought. On Easter Sunday 1990, 23-year-old Eoin Morley was shot and killed. Eoin’s mother, Ms Eilish Morley, alleges that he was murdered by Peter Keeley, who was at the time acting as an intelligence source of the Ministry of Defence within the Provisional IRA and who later acted as an intelligence source of the Chief Constable of the Police Service of Northern Ireland (the Morley litigation). In April 2017, it became apparent that KRW Law had disclosed documents in the Morley litigation which were highly sensitive and confidential documents created by staff in the Office of the Police Ombudsman for Northern Ireland (PONI). 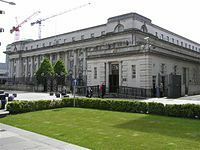 The PONI made a formal complaint to the PSNI, which then launched a criminal investigation into the theft of the documentation, unlawful disclosure of it contrary to section 63 of the Police (Northern Ireland) Act 1998, and into potential offences committed under the Official Secrets legislation. The PONI also initiated proceedings against KRW Law seeking, inter alia, an injunction restraining them from using the information in any way. Those proceedings are still ongoing. In the High Court, Ms Morley made an application under section 32 of the Administration of Justice Act 1970 in respect of documentation held by the PONI. Provided that in any such hearing Ms Morley’s interests are protected at all times by her representatives being provided with an opportunity to make submissions to the Court and, to the extent that her representatives may lawfully be excluded from any such hearing, by the Special Advocates appointed to protect her interests being permitted the opportunity to make representations to the Court, in accordance with the scheme established by the Justice and Security Act 2013 and Order 126 of the Rules of the Court of Judicature. Master Bell explained that third-party discovery applications in civil litigation are governed by the section 32 of the Administration of Justice Act 1970 and the relevant Rules of the Court of Judicature. Stating that he was able to conclude that both the Category A and Category B documents relevant to this application “may be relevant” to an issue in the Morley litigation, Master Bell said that the description of the documents was too vague and ambiguous to prove, on the balance of probabilities, that they were relevant to the issues in dispute in the Morley litigation. Consequently, Master Bell said he was unable to assess whether the material was necessary. Master Bell also found that there was no power under the Administration of Justice Act 1970 for him to order the documentation to be furnished, and that what counsel for Ms Morley sought was for him to ‘step well outside the legitimate judicial function of proper statutory interpretation’ and amend legislation. The reliance on stolen information, which Master Bell said was one of the most unusual factors in the application. Master Bell said there was a strong public interest in preventing applications being grounded upon unlawfully obtained material. In any event, in the exercise of his discretion, he held that it was inappropriate to make the section 32 order sought.